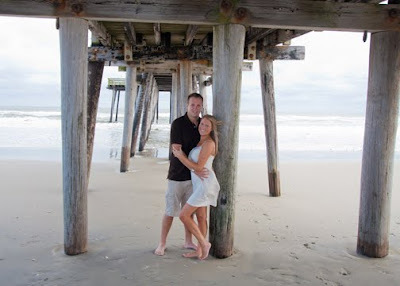 It was a cold & windy day in Ocean City but Donna & I braved the elements to take beach photos for Jennifer & Mike. I have been working with Jennifer & her family since she was 5 years old. What a beautiful women she has become! Mike was a little camera shy at the beginning but he really got the hang of it & actually enjoyed himself. I can't wait until their wedding next year!